Cornwall Ontario – May be hard to believe this snowy week but March 20th is the first day of spring. We may need our umbrellas instead of snow boots…which is ok with me!! Some seniors I know are writing their memoirs. Still, for some, writing is a chore and for others, they may feel some of their life experiences are not important enough to write down. Recently in a Zoomer’s newsletter, there was an article encouraging us to write our life stories. It refers to a book by author Beth Kaplan who teaches memoir and personal essay writing at Ryerson University and the University of Toronto. Her book, “True to Life: 50 Steps to Help You Tell Your Story”, is a handbook she uses as a textbook for writing memoirs for her courses, according to the article. She suggests making a list of the 10 most important moments in your life and also start anywhere, not worrying about when or where it should start or end. She also says to try writing with a pen and paper which can later be typed on the computer. I have often done that when writing a story and found it seemed to flow better than using the computer for my first draft. I also know of some people who have recorded their stories on tape. Nice feature of that is that the person’s voice is live for the family to hear also. Ms. Kaplan also suggests that since writing is solitary, you might find support through another person or group for feedback. Go to http://www.everythingzoomer.com/arts-entertainment/2018/03/09/how- to- write-your-memoirs. I remember at the in-patient alcohol and drug treatment center where I worked, the residents had to write their life stories as part of their recovery program. They were told to write in segments of 5 years which seemed to make it easier for them since they had limited time to accomplish it and also, they could go back and add something as the memories came to them. I think the life stories are so important. I wish my Mom had written hers. What a treasure that would be to have now. The yearbooks of the graduate classes of the Cornwall General Hospital School of Nursing titled, “The Lamp” are another treasure. I have mine for my three years in training as a student nurse. 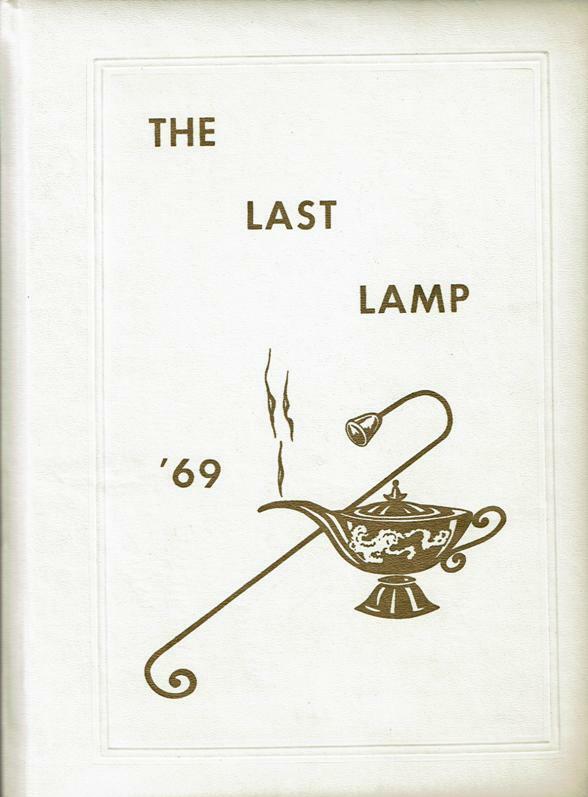 The first yearbook was published in 1955 and “The Last Lamp ’69” is the yearbook of the last graduating class in 1969. It is really a treasure for sure. Besides beautiful photos of the graduating class there are some very important articles in it not found in any other yearbook. In the Medical Staff section there are 40 doctors’ photos. I was happy to see, among many other pictures of our wonderful doctors, one of Dr. M Kelly, who had been my family’s physician when I was growing up. Other sections show photos of the staffs of various departments at the time. There are three pages of pictures of the hospital before and during the big renovations in 1968. One photo is of the inside front entrance showing the fish pond. Another is a photo of the two enclosed solariums on the east side of the building, first and second floors which were torn down. What a shame that they were removed. We used to take patients out here for fresh air and sun which they loved. There are also a few great shots of the old Tower at the front of the building. There is a very interesting 2 1/2 page article by Miss Annie Raymond (Director of Nursing) on the 71 years of Nursing Education and training of 658 graduate nurses. According to the article, the late John Purcell bequeathed $15,000 to open a non-denominational hospital for the medical needs of Cornwall’s 6,000 population. The hospital, a three storey building with a tower and wing, was erected and opened December 20th 1897. It would accommodate 36 patients. Thus a need for nurses arose. 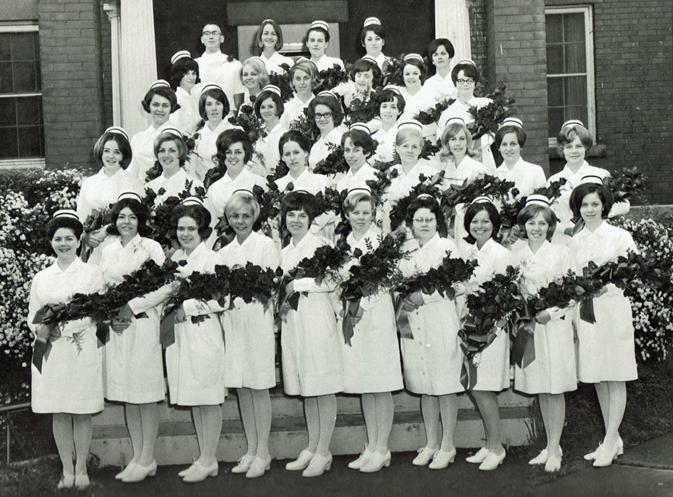 There is a long list of nursing graduates detailing each year and the graduations such as of 1899 and 1900 of 4 students: Alexa Walker, Florence Pitts, Grace Putman and Eleanor H. Linton to the last class in 1969 of 36 graduates. The CGH in 1968 then opened the R.N.A. Training School for another 21 years of nursing education. There are bits of interesting information in the article such as in 1902 the Board decided to lengthen the nursing training to three years. It also states that the students would receive a Two Dollar stipend the first year, Four Dollars the second and six Dollars the third. 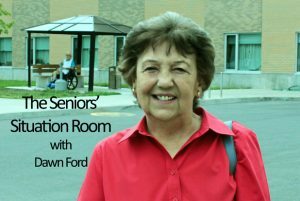 They would be provided with living accommodations on the third floor of the building. Due to an endowment by Frances Colquhoun (1870-1930) in memory of her parents, the Colqhoun Memorial Home for Nurses, a fully furnished residence, was built. It was opened by the Duke of Connaught on June 2, 1914. A tunnel connecting the residence and the hospital was an added gift. Later in 1926 she contributed a 12 room addition. There is a very nice section on The Last Class. It is full of wonderful photos of the classes’ activities over their three years in training as well as beautiful individual photos and group pictures at the Graduation Exercises at General Vanier Secondary School on June 5th, 1969. The Valedictory address was given by Sharon Nesbitt. On June 6th. the graduation dance was held at the Cornwallis Hotel and a Party at Parco Village. “God, give me the strength that I may be the instrument of your mercy, and grant me loving hands to fulfill your will. Instill in me a spirit of compassion with which I may temper the professional knowledge so proudly learned. Please God, never allow me to become hardened to human suffering. Bestow on me the power to breathe courage and confidence into the hearts of the lonely old people who are about to die, and the humility to accept thy power when youth is summoned at your command. Lord, give me the comfort of thy presence in the hectic routine of a busy day. “In former years the yearbook has been called, “the Lamp” or “Lampada”: this year we decided to call it “The Last Lamp”. We felt something special was needed to signify that with our class our School of Nursing had fulfilled its role. This yearbook and year will always have a special place in the memory of our class and, we hope, in the memory of former graduates of the Cornwall General Hospital School of Nursing. When we graduate in June, there will be no junior class watching with anticipation our graduation exercises, dreaming of their own. FIRST row: Carol McKay, Linda Ouimet, Joan MacMillan,Sandra Dix, Anna May MacPherson, Sharon Fraser, Shirley Groves, Grace Mancino, Gloria Lee, Darleen Timmins. SECOND row: Isabelle Raycroft, Sharon Nesbitt, Sheila Faught, Annie Pysk, Saralyn Mabo (Merkley), Catharine Baker, Sharon Hunt, Susan Richardson, Margaret Ann MacMaster. THIRD row: Bonnie Primeau, Eleanor Higginson, Susan Hales, Dianna Marcellus, Helen Barton, Linda Montgomery. FOURTH row: Diane Clement, Jamie Maynard, Beverly Cameron, Janice Bawden, Betty Moffat, Judy Empey. TOP row: Neil McCuaig, Marianne Jackson, Joanne Stewart, Deborah Burne. Missing from the photos: Susan Mills and Paul Shaver. Two classmates are deceased: Susan Richardson in 2005 and Neil McCuaig in 1993. “The Last Lamp ’69” is a wonderful and interesting yearbook. A big Kudos to the Editor Eleanor Higginson , co-editor Joanne Stewart and all of the yearbook staff. My brother Ron Herrington (Satch) is a patient in the hospital. He is doing well. A nephew sent him a beautiful card with a sweet little puppy peeking out from under a sheet. The photographer who took the picture is Ron Schmidt. According to his website, he was given an old Yaschica camera at age 9 by his Uncle Russ. He took his first dog photo that day of his collie, Nicki and hasn’t stopped taking dog photos since. Dog lovers will love his photos which are apparently on stationary, home decor, apparel and publishing categories. Wonderful pictures. Go to https://looseleashes.com/ to view his work. The Paralympic Winter games in South Korea are really great to watch on TV. I had not seen Wheelchair Curling before so that is a big treat. These amazing athletes are so inspiring as they perform their incredible feats. There are even visually impaired athletes skiing. Wonderful to see the enthusiasm and skill of all the athletes. The coverage on TV though has been limited which is disappointing with no coverage in the evenings of the day’s events that I could find. Congratulations to all the athletes who are all Gold Medal winners to the whole world, I am sure. Tiger Tiger is on another celery binge. He hasn’t bothered sticking his pussycat nose in the fridge for quite awhile. Now, all of a sudden, I CAN HARDLY GET THE DOOR OPEN AND HE IS THERE sniffing around for the celery. I notice he does that with other things as well. Maybe it is a cat trait. He wasn’t sleeping on the couch in the living room for ages which is something he has started again recently. And the latest is sleeping during the night for some periods of time on his bed in the hall. Maybe he just likes variety in his life like the rest of us. lol…What a cat!!! What a little monkey!! The wanderer took off and started a more desperate search. As the heat got fiercer, he again searched in all directions. Just when the sun was at its highest, he saw a restaurant in the distance. It was almost certainly a mirage, but he didn’t care. 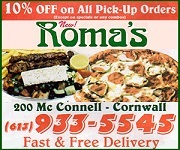 He ran toward it and arrived at the front door to discover that it was a real restaurant. He started in. A doorman stopped him. Just read your wonderful column. It is so kind of you to always remember people of the areas and mention their names. Being told you’re remembered and appreciated is one of the simplest and most uplifting thing people can hear. Keep writing about the great people’s history of our surrounding areas. The thing that always puts a smile on my face is hearing about Tiger. Jamie my husband was in the hospital and almost died and has a severe case of pneumonia. We took him home yesterday and has one tube left in his side to drain his lungs. He had another tube before and today a public health nurse came to give him IV. A few nurses are from Cornwall and one from TO area. You cant thank these people enough for the job that they do. Jules I hope your hubby hangs in there and you hang in there too. Jamie thank you. We brought hubby home yesterday and I stayed up all night with him. He has a hole in his chest and the doctor thinks that it was from a previous surgery that he had done in his country back in 1959 and his esophagus is a bit curvy. My husband has tubes in him – one left in the lung to be removed later by the doctor. I almost lost him Jamie. Jamie there is not enough thanks to give to the nurses and doctors. I said a big thank you to the staff at the Ottawa General Hospital. I mean it when I said I almost lost my husband and we have been with him all the time and my daughter is draining his tube every day. She should have been a nurse. Jules it’s never too late for your daughter to get into nursing. Jules, my very best wishes for a full and speedy recovery for your husband and my best to you and your family. I know it is a very stressful time for you. Dawn you happen to be my very favorite lady in Cornwall Ontario and hubby misses Cornwall and told that to the nurses. One very lovely nurse comes from outside of Toronto and she was going back for a visit yesterday. Hubby had surgery way back in 59 and something went wrong and a small hole is in his chest. The food and beverage went into his lungs and all had to be drained out. Hubby was in the unit for the lungs and before that he was in emergency (sent by ambulance) and then Constant Care and then up on the 6th floor of the Ottawa General Hospital. That hospital is so big that I thought that my daughter would have to put me in a wheelchair to get around. No kidding it is too big for me. Hubby has different nurses here ever day to give him IV antibiotics, etc. Jamie my daughter is 39 years old and she took the Medical Administration Course and she scored 96.6% in that course. My daughter could not find a job in that area only those who went into it and quit with a great deal less marks and capability. My daughter is very down and is working part time in a super market nearby – really bad. My daughter hates Ottawa and so do many of the nurses. Hubby lost half of his weight and became almost skeleton like. Today my son and I went over to Wal Mart and picked up a pair of jeans for hubby to wear at size 32 and he hasn’t been that small since the early 70s era. We are doing everything we can to build up hubby with good food and beverage that is a milk type thing that he likes. The nurses and doctors are wonderful folks – the best. I’m not a huge fan of Ottawa either Jules. I lived there for a few years around the year 2000. Jamie we lived in Ottawa back in the 1970s, 80s and 90s and when I would go back to Cornwall for visits it felt like heaven compared to Ottawa. Ottawa was a place of work but not for life. Our apartment building is mighty quiet here and you can hear a pin drop. We are very quiet people and so are the tenants here. We have the very best landlord who is an Orthodox Christian Lebanese. Ottawa is nice to visit, but not to live. That’s about as nice as I can get with that city. Hugger I remember one day many years ago going out to a farm just a bit outside of Ottawa and a farmer took his hand in the way saying the hell with Ottawa and he was disgusted like a great many people. People work here and cant wait to leave. You are an Ottawa born and raised person and I wonder how many Ottawans feel that way as well. I feel more disgusted lately more than before. I was just sitting here laughing thinking about Jamie and he is easy to get along with and lived here back in 2000 and left. Well Jamie we lived here in the 70s all the way to the 90s and I dreaded it then but I dread it much more today than in those days. Jamie there was a shooting yesterday on Conroy Rd. and Blohm Streets not far from me – a really nice residential area. OMG! Jules I’m sure there’ll always be a place for you folks to rent here in Cornwall and seeing as you’re a senior I’d suggest reaching out to Cornwall Housing and getting on the waiting list. Jamie my daughter and my husband are at me about moving back to Cornwall and things in Ottawa are nuts to the core. I never go out alone to shop since my family will not let me – this is a dangerous area where we live nowadays. All of Ottawa is dangerous now – so many drugs and drug culture. Hubby was talking about it this morning about not staying too long in Ottawa. It is getting worse. Your daughter might even find it easier finding a job here Jules. The first night that hubby was home I didn’t sleep and I sat on the living room easy sofa chair all night to make sure that hubby wouldn’t fall because he fell three times before going to the hospital. I told hubby that any sign of anything don’t wait but go to the hospital and get treated. A relative of hubby had open heart surgery done lately. 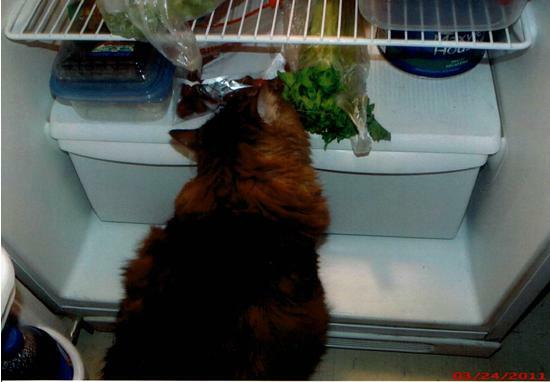 I am having a good laugh watching Tiger eating some food in the fridge. Animals are sneaky and they know good food when they come across it. I have lost a little bit of weight because of my nerves with hubby sick. This morning my leg shook and hubby and my kids saw that. When hubby is well I hope that I can be a lot calmer. There are a lot of boxes here for the nurses. Dawn you wouldn’t believe the amount of weight that hubby lost and it was like looking at a skeleton. Since he has been home we are fattening him up a little. Hospital food was so horrible that he wouldn’t touch it and tried to pawn it off on us but no way. Hubby was only on liquids for an entire week because of the hole in his chest. Nobody would have recognized hubby last week at all. Jamie my daughter is staying home until hubbys tube in the lung is removed and then she goes back to work. I was at the grocery store yesterday and the staff has been asking about him. Hubby is getting better gradually – slowly but surely. Hubby has gained so much respect for our health care system and everything and his outlook has changed completely. My husbands nephew called earlier to say to my husband that besides his brain tumor he has a tumor on the thyroid gland and he is being treated in Lebanon. 2017 and 2018 are terrible years for us. The nurse is here for hubby and is giving him the Salene drip and tomorrow is the last day for the Salene drip. The nurse will be coming less often after – I guess once every week. I have to agree with Hugger on something here so Jamie get ready for a gold star that is mighty unusual and no heart attacks please. Ottawa is nice to visit but living is dangerous. The only good thing is the health care system and the education system but not much more. Hubby tried to do something on his own and keeled over and my son and I caught him. He cannot be left alone.